It should come as no surprise that head-on car accidents are the deadliest kinds of collisions that can occur. The amount of force generated when to vehicles traveling in opposite directs collide can be tremendous, resulting in catastrophic injuries and even death. That’s why San Diego, CA attorney Chris Olsen takes these kinds of cases so seriously. The devastation cannot be understated. 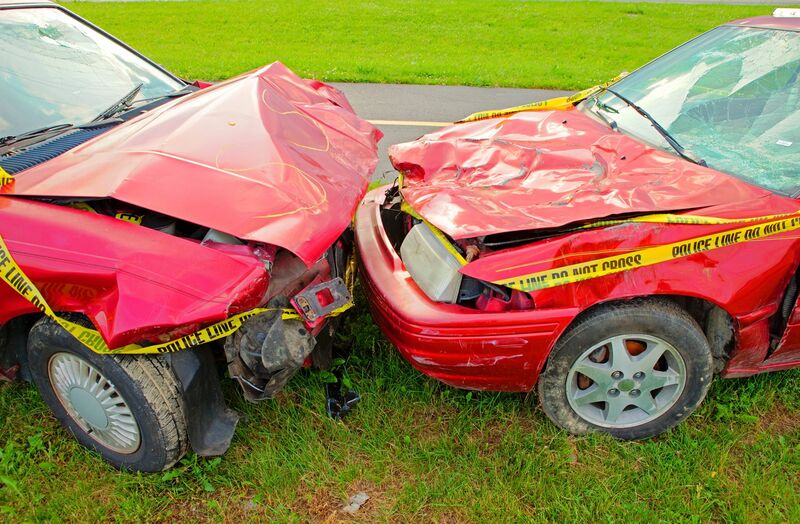 The legal team at Olsen Law Offices would like to take a moment to consider some facts about head-on auto accidents. We’ll then note common examples and causes of collisions and how an attorney can help you in a legal action against a negligent driver. According to numbers from the Insurance Institute for Highway Safety (IIHS), frontal impacts accounted for 54 percent of all passenger vehicle occupant deaths in 2016. In single-vehicle crashes, the IIHS recorded 5,684 fatalities; in multi-vehicle collisions, the IIHS recorded 7,063 fatalities. While traveling on two-lane roads, some people may attempt to pass a slower motorist directly ahead of them. This will involve driving in the opposite lane of traffic. This risky maneuver can lead to a head-on crash if a passing motorist is not attentive. Only attempt this maneuver when prompted by the slower vehicle ahead, and have a clear view of traffic in the other lane. Sometimes head-on auto accidents occur when people drive the wrong way on a one-way street. The driver may be lost, or may not have noticed the “Do Not Enter” sign while driving. Whatever the case may be, collisions of this kind can be deadly, especially if they occur on highway on-ramps or off-ramps. Cellphones and other handheld electronic devices are a common part of daily life. That may explain why people use phones behind the wheel despite state laws prohibiting these kinds of acts. Taking your hands off the wheel and eyes off the road can lead to driver inattention, which can contribute to a head-on collision. If it’s not cellphone use, distraction may be caused by grooming while behind the wheel, eating while driving, reaching for an object in the vehicle, or rubbernecking. Motorists must always remain attentive while their vehicle is in motion. If you or a loved one has been injured in a front-end auto collision, our law firm can help you. We will discuss the circumstances of your case and determine if you should pursue a legal action against the negligent motorist. Damages can be sought to cover medical bills, vehicle damage, and other losses associated with the collision the other driver caused. If you would like more information about your rights following an auto collision, it’s important that you contact an experienced auto accident lawyer. Your can also reach the Olsen Law Offices by phone at (619) 550-9352. We are here to help you in your time of legal need.